The Moto G5 Plus is a mid-range Android smartphone that covers the basics and then some. It represents the company's most refined and powerful G yet. 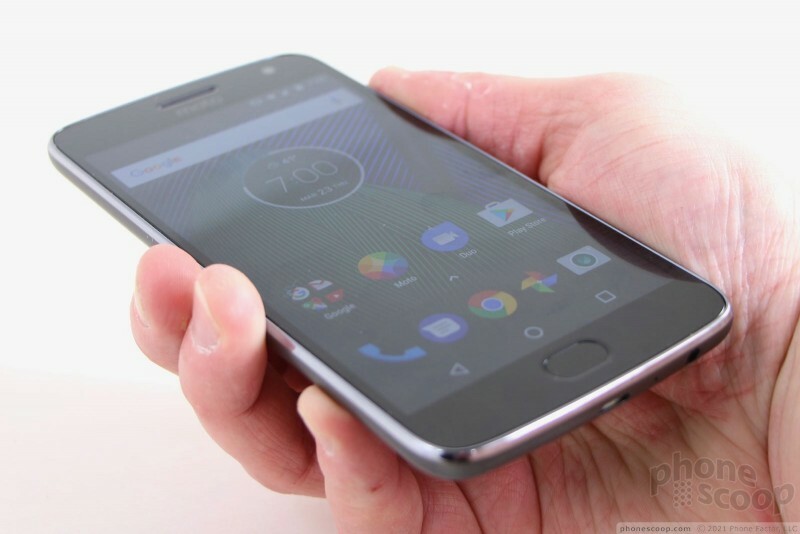 If you're in the market for a visually appealing, unlocked handset that outperforms most others at the same price, the Moto G5 Plus should be at the top of your list. Here is Phone Scoop's full review. Motorola's fifth-generation Moto G series is the company's most refined and powerful yet. 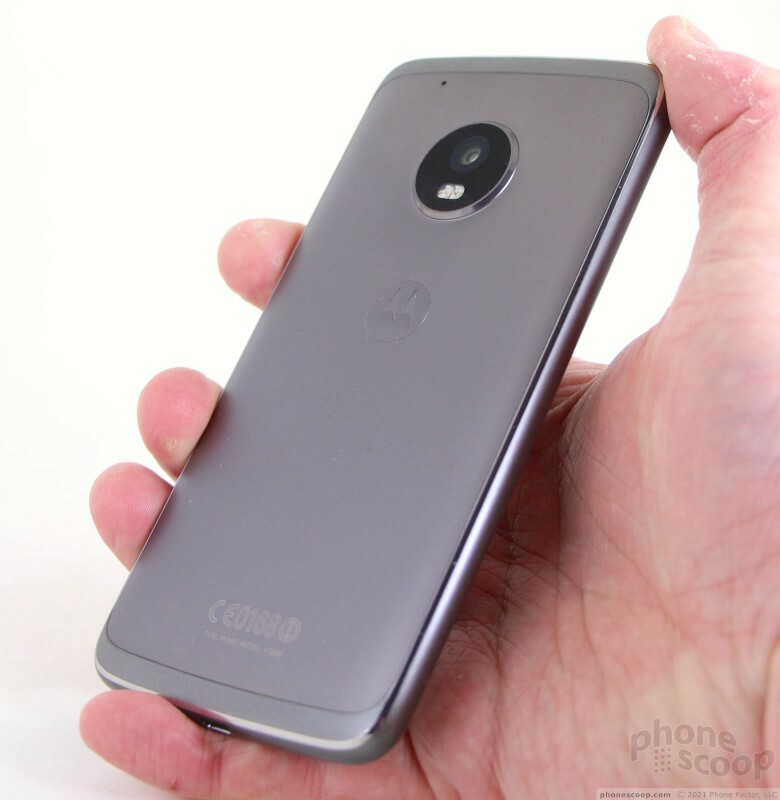 If you're in the market for a mid-range, unlocked handset that outperforms much of the competition, and looks good doing it, the Moto G5 Plus should be at the top of your list. 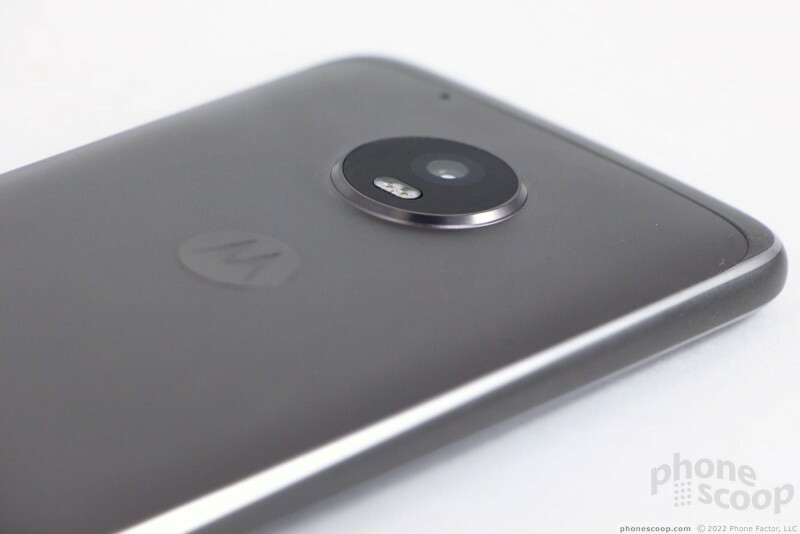 It's been interesting to watch the Moto G evolve. 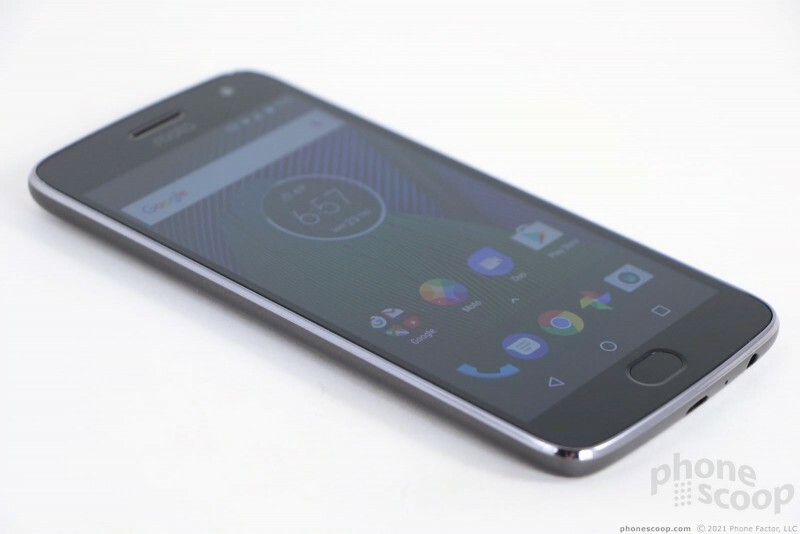 The phone has remained in the middle of Motorola's lineup for several years, and done a reasonably good job of sticking to its affordable price point while introducing new features with each successive generation. The G5 Plus is surely the most exciting version yet, thanks to its metal chassis, upgraded specs, and great everyday performance. 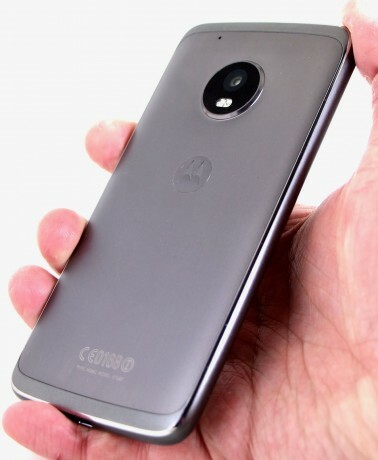 The G series has used colorful plastic materials since Day One, but Motorola is dropping that design aesthetic in favor of high-end materials. The front is glass and the back is mostly metal. The color selection leans towards the conservative (gray or gold), though chamfered edges along the outer frame give the handset a nice dash of visual appeal. I like the look of the metal finish on the back, which has some grain to it. Some may mourn the loss of the swappable, colorful rear shells that have defined the G series since the beginning, and I wouldn't blame them. The G5 Plus loses some youthful individuality when compared to its predecessors; it feels more mature and less ebullient. Perhaps the one improvement I appreciate most when compared to the G4 is the reduction in size. 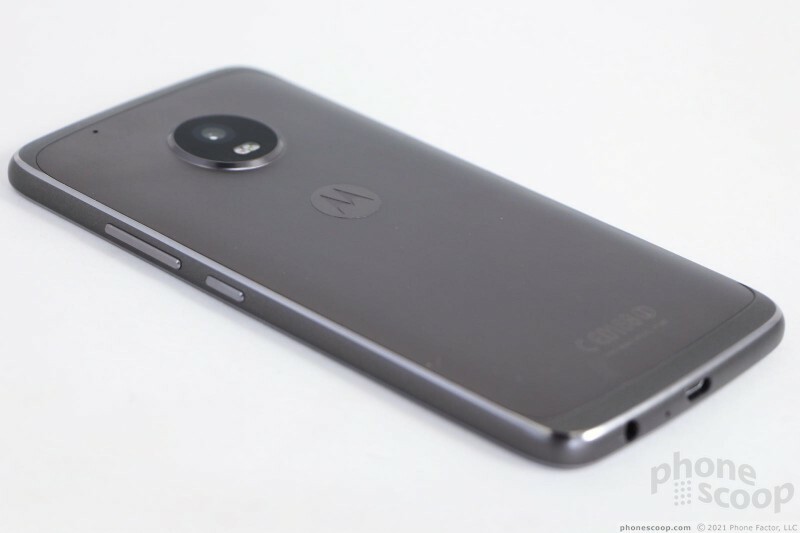 Motorola went overboard with last year's 5.5-inch Plus model; the company has thankfully reigned things in with the G5 Plus. 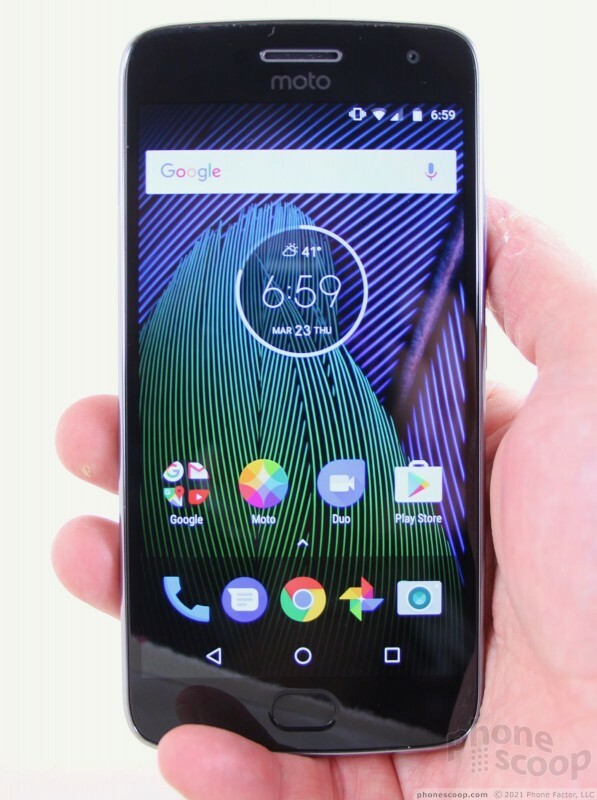 The 5.2-inch screen allowed Motorola to keep the dimensions in check. It's not necessarily the most compact phone ever, but it's much more suited to one-handed use and to stuffing into pockets. I'm pleased with the quality of the G5 Plus. The materials are quite good. 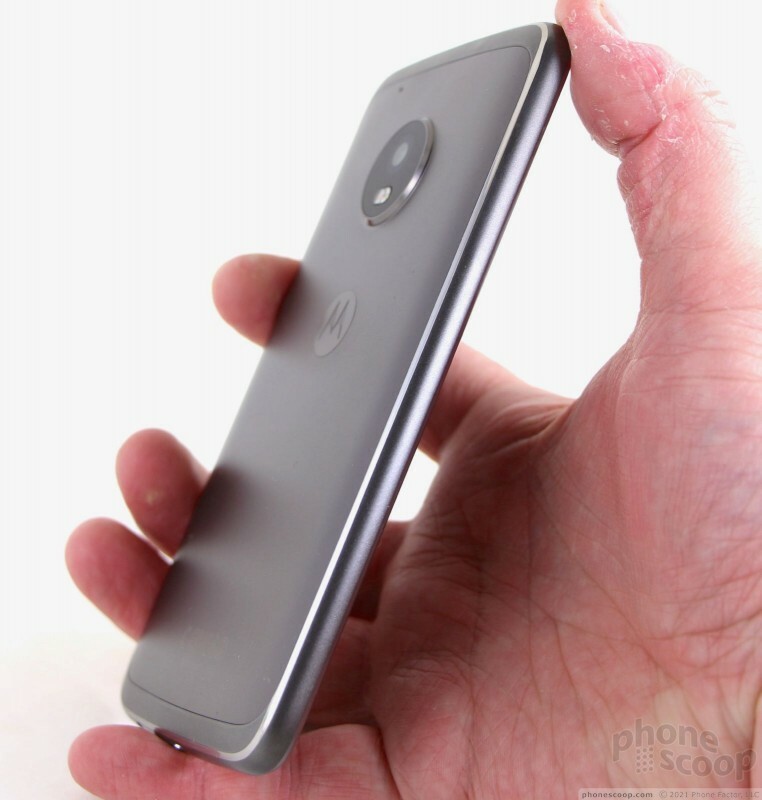 Motorola selected fine glass, resin, and metal for the phone, and assembled all the components tightly. There are no loose parts, no uneven seams, and no cheap-feeling buttons or controls. There's no doubt it's a step up from the G4 and earlier versions of the G series. Everything about the phone speaks of a thoughtful approach to its design and manufacture. The chamfered edge of the resin frame defines the shape and face of the G5 Plus. 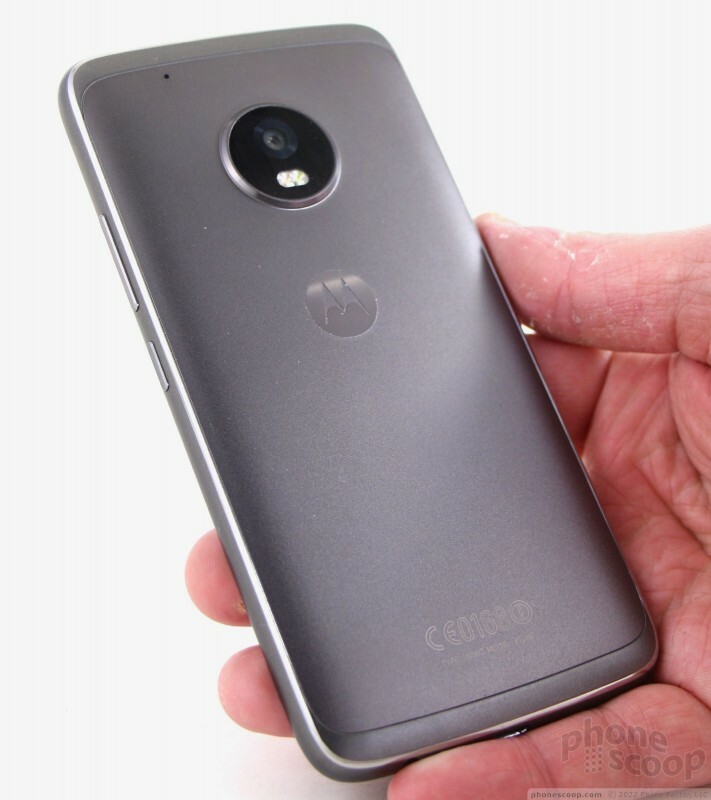 Despite the change in materials, the G5 Plus is still immediately identifiable as a Motorola handset thanks to its basic outline. 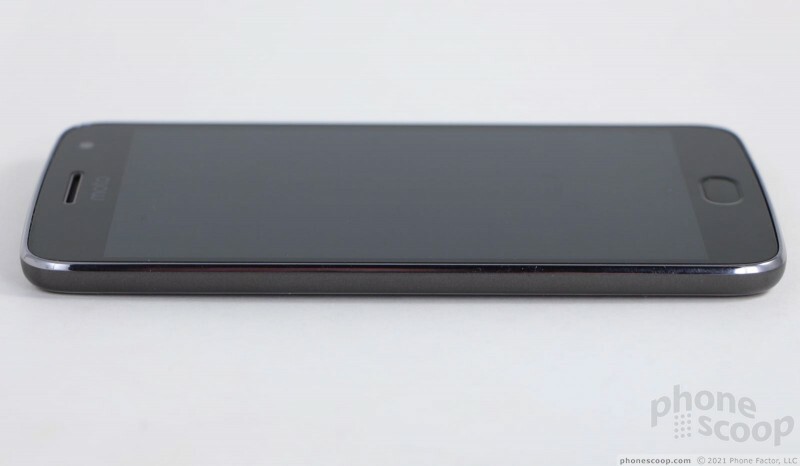 The glass sits below the resin frame a bit, which forms a very thin rim that protects the phone when it is placed face down. The gray model has black glass, while the gold model has a gold bezel around the display. Either way, the earpiece is clearly visible thanks to a metal rim that sits in the glass. The user-facing camera is easy to spot, too. The front of the G5 Plus includes a fingerprint reader that doubles as a home button and navigation tool for the home screens. The button is indented just a bit from the glass surface, but it feels smooth and comfortable, and is easy to find and use. Swiping left on the home button takes you back, while swiping right activates the app switcher. Neat. 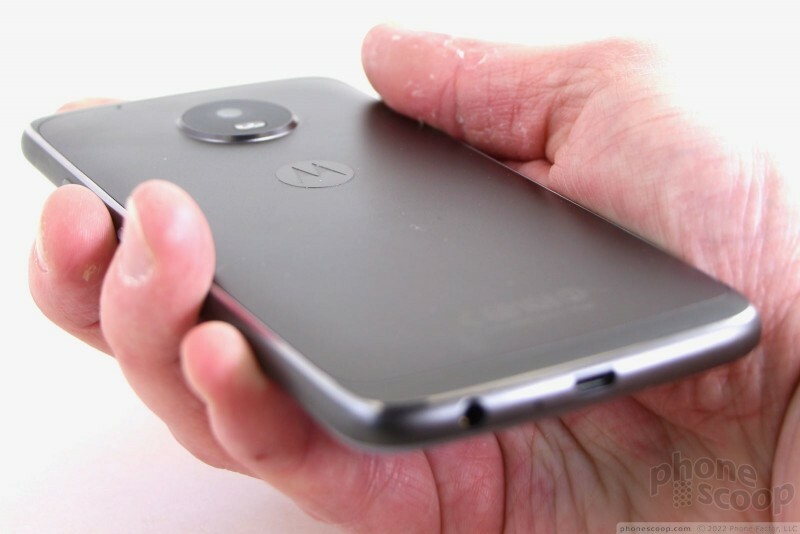 Motorola did a great job with the outer frame. The smooth curve is comfortable against your skin and it flows well into the back surface. 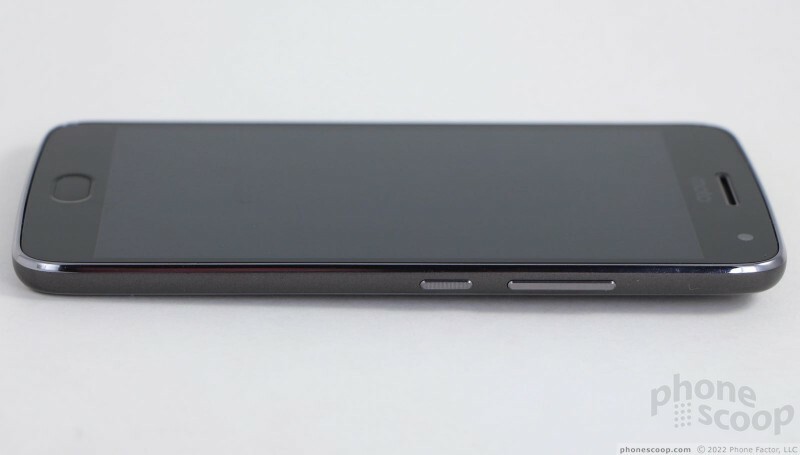 You'll find the screen lock button and volume toggle on the right edge. The screen lock key is positioned about in the middle and has a ridged texture to it. The profile, travel, and feedback are excellent. The volume toggle has a smooth finish to help differentiate it from the screen lock key. It could be longer, but the profile, travel, and feedback are all fine. The SIM/memory card tray is tucked into the top. A paperclip or tool ejects it easily. 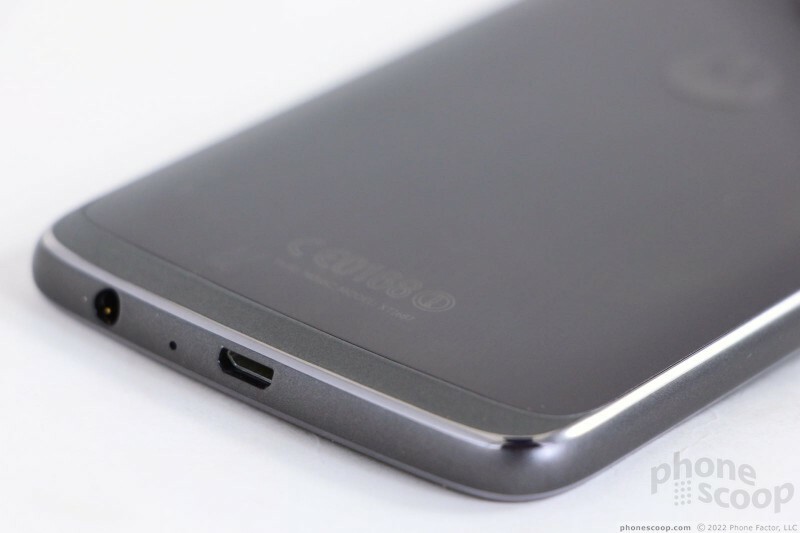 A 3.5mm stereo headphone jack is on the bottom, as is a microUSB port. Just a few words about Motorola's decision to go with microUSB rather than USB-C. The company explained to us at Mobile World Congress that most people shopping for phones in this category can't/won't necessarily invest in all new accessories to accommodate USB-C, particularly if they already have lots of microUSB stuff. Of course the sooner all phones and all accessories adopt USB-C, the faster this problem will go away. 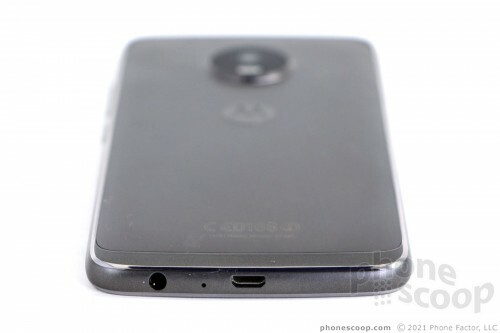 But I understand Motorola's thinking here. 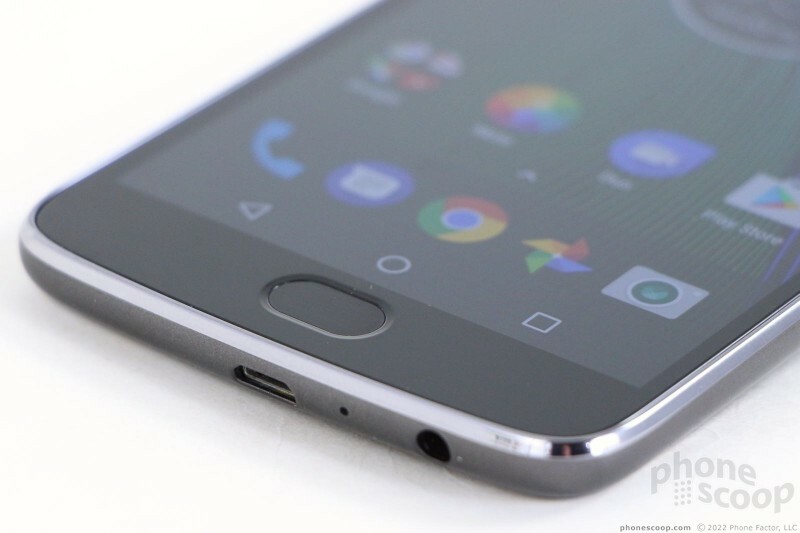 In early 2017, microUSB may, in fact, make the Moto G5 Plus more appealing to some shoppers on a budget. A metal panel covers the bulk of the rear surface. It's fitted into the resin frame and bookended by plastic pieces that allow radio signals to pass through. I like the overall effect, which is classy. The combination of different colors and textures works. 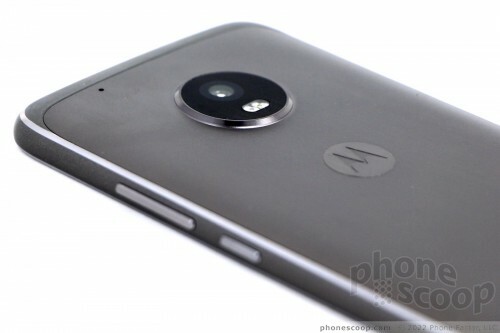 It's impossible to miss the camera module, which strongly resembles those of the Moto Z family. (It can't accept Moto Mods, though.) It's the diameter of about a quarter, and about as thick as two stacked quarters. 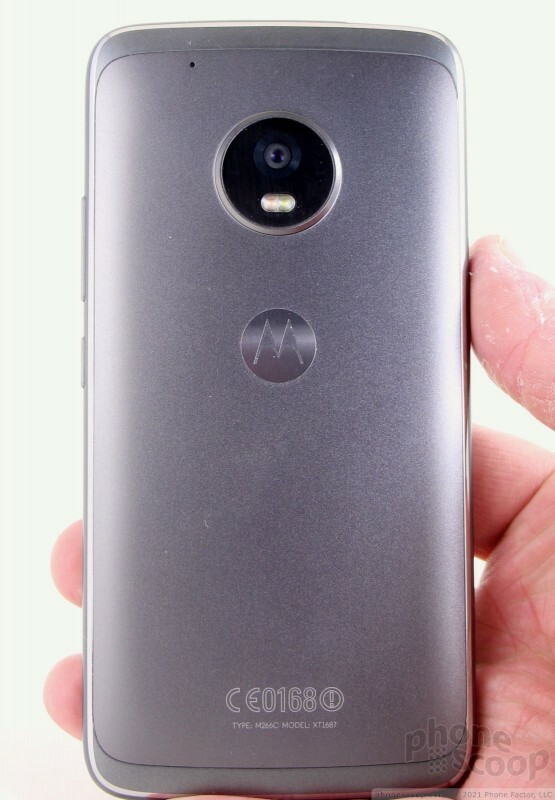 The stylized Motorola "M" logo is etched into the metal below the camera. It looks nice. You cannot remove the rear panel, and thus cannot access nor remove the battery. That likely annoys a few of you, but it's become par for the course on many of today's handsets, particularly if want a true metal back. There's no question the Moto G5 Plus a fine piece of hardware, especially considering the price point. It easily puts midrange offerings from LG, ZTE, Huawei, Blu, and others on notice. 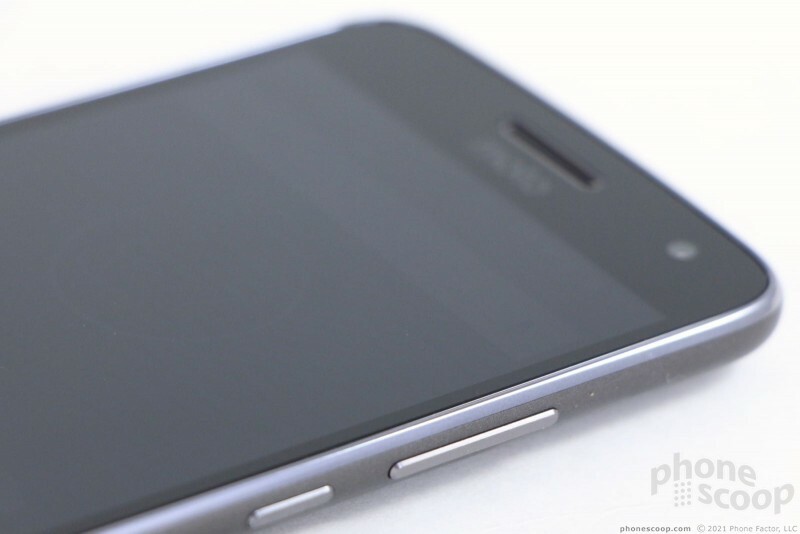 The phone's screen measures 5.2 inches across the diagonal with full HD resolution. This is a good combination of size and pixels, making for a sharp display that has smooth text, graphics, and icons throughout. Individual pixels are invisible. I was very pleased with the resolution. Colors are accurate across the board, and the LCD panel puts out plenty of light. I had no trouble viewing the phone indoors or out. Viewing angles are really excellent for an LCD screen. It's a great display for this class of device. Motorola is selling the G5 Plus unlocked. It supports the majority of LTE bands used by U.S. carriers (LTE 1 / 2 / 3 / 4 / 5 / 7 / 8 / 12 / 13 / 17 / 25 / 26 / 41 / 66), and even includes CDMA for Sprint and Verizon. It works with AT&T, Sprint, T-Mobile, Verizon, and all of these carriers' prepaid brands. I tested it on AT&T and Verizon, and came away impressed. The phone was always connected to the network no matter where I took it. The G5 Plus was able to make calls under the weakest network conditions, and didn't drop or miss any calls on either AT&T or Verizon's networks. Calls remained connected during lengthy jaunts down the highway, too. Data speeds were decent on both networks. Certainly the phone delivered punchy performance for everyday activities like checking email, downloading apps, and scrolling through Facebook and Twitter. I didn't run into any unusual problems when streaming music or video content over LTE. The G5 Plus has the 4G goods. Call quality is a bit on the choppy side. The earpiece can push plenty of air into your ear canal in order to make calls audible in even the noisiest environments. I had no trouble hearing calls in busy coffee shops, bustling diners, or walking around clogged city streets. Volume isn't an issue, but clarity is. With the volume cranked up, the earpiece is prone to a lot of distortion. Clarity is best if you keep the volume set between 40% and 60%, but then calls are harder to hear. People said I sounded "good" via the G5 Plus. The speakerphone is almost useless. The phone doesn't have a separate speakerphone speaker and instead just cranks up the earpiece to absurd levels. The result is a distorted mess. Moreover, when used as a speakerphone, the earpiece just doesn't deliver enough volume. I wasn't able to hear calls at all in a coffee shop or in a moving car. It's just a total failure. Ringers and alerts are jarringly loud. The vibrate alert is strong enough to ensure you won't miss calls as long as the phone is in your pocket. The G5 Plus' slim frame contains a nice 3,000 mAh battery. 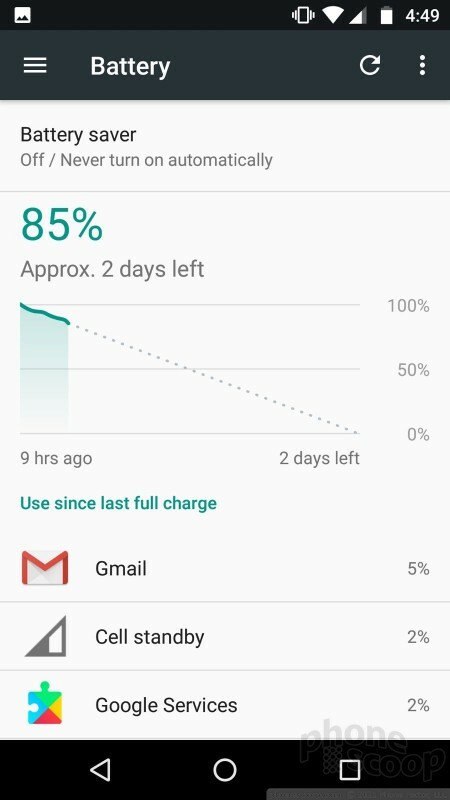 Motorola has done a great job in recent years ensuring its phones deliver good battery life and the G5 Plus is right up there with the best. It easily pushes through a full day of heavy use with power to spare. I had no trouble at all getting the G5 Plus to last from breakfast to bedtime. On most days I tested the phone, it had about 20% power left at the end of the day, which was enough to get it throught the night and to mid-morning the following day. 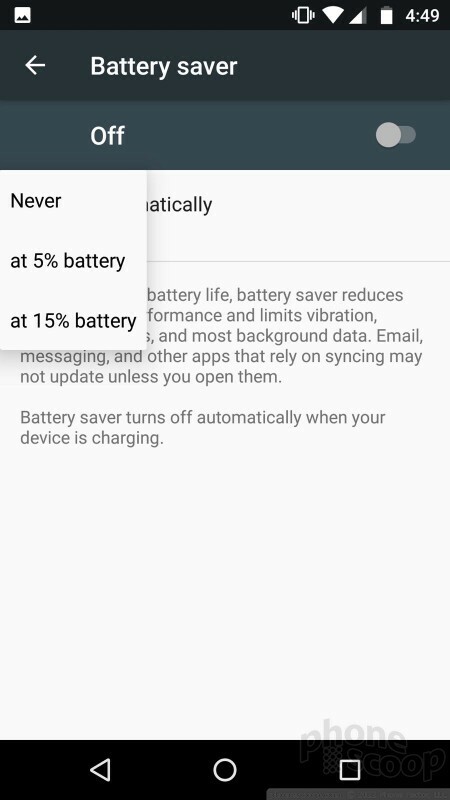 The phone includes only the standard Android battery tool. This can be set to come on automatically, or switched on/off when needed. It reduces processor output, dims the screen, and cuts down notifications. My guess is most people won't need this tool. The G5 Plus supports rapid charging via the included wall wart. Motorola claims 15 minutes of charge time delivers 6 hours of battery life. That's approximately what I saw during testing. The G5 Plus offers acceptable Bluetooth functionality. Pairing with other devices via the system menu was easy enough. I connected the G5 Plus to speakers, headphones, PCs, and my car with little effort. Call quality was mediocre when pushed through a dedicated headset, and downright miserable via my car's hands-free system. Music sounded very good through a pair of Bluetooth speakers. Google Maps made excellent use of the G5's GPS radio. The phone found me in a blink and worked great as a live navigation tool when driving from Point A to Point B. The U.S. variant of the G5 Plus doesn't include NFC even though the international version does. Motorola says dropping NFC for U.S. buyers was purely about cutting costs. Boo. 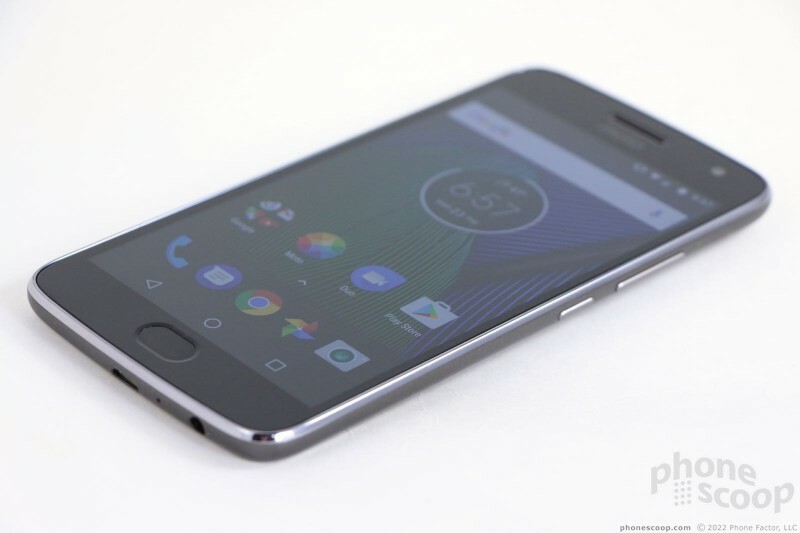 Motorola today announced the Moto G5 and G5 Plus, the fifth generation in Motorola's line of mid-range handsets. 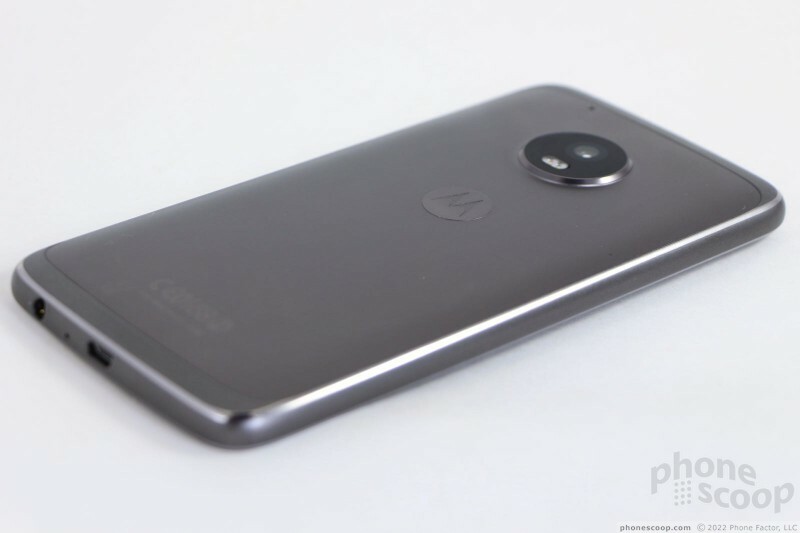 The phones feature metal frames and adopt a design language that vaguely resembles the Moto Z series. 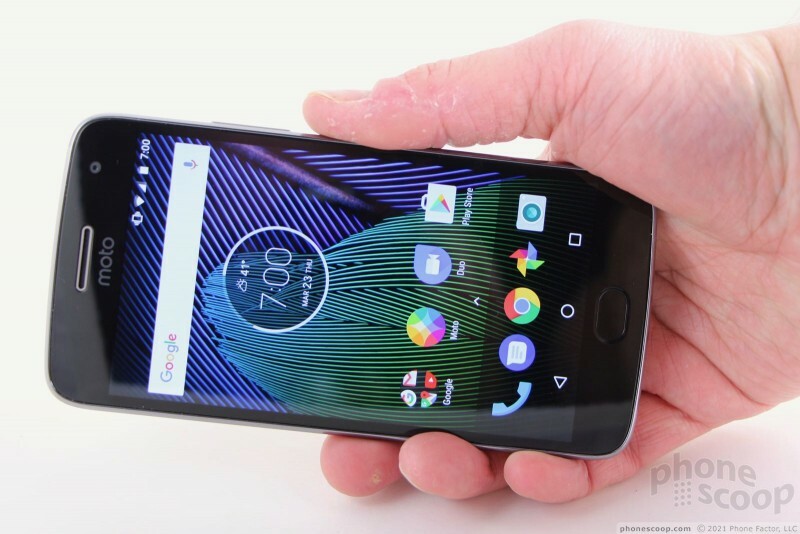 Motorola G5 Plus provides a solid phone with near stock Android. I purchased one with Amazon ads on Prime Day. I have not tried the camera yet, but also have Samsung Galaxy S7 Edge to compare it to. One unique feature is that it has Wifi calling, which combined with T Mobile service gets free calls to the U.S. from a Wifi hotspot almost anywhere in the world. Did you test call quality with VoLTE? Did you use voice over LTE when doing this review?